How long have you been working with this venue? I started as Events Coordinator in August 2018 but have been with the company for almost two years. Our Marquette Room can seat around 200 comfortably, and our Joliet Room can seat up to 50 comfortably. What is included in the space rental? Rental at the Iowa Taproom includes set-up and tear-down, tables, chairs, linens, free wi-fi, bartenders/servers. What types of events are typically held in your spaces? Around 60% of our events are wedding related (ceremonies, receptions, rehearsal dinners, etc.) while 40% are corporate events. 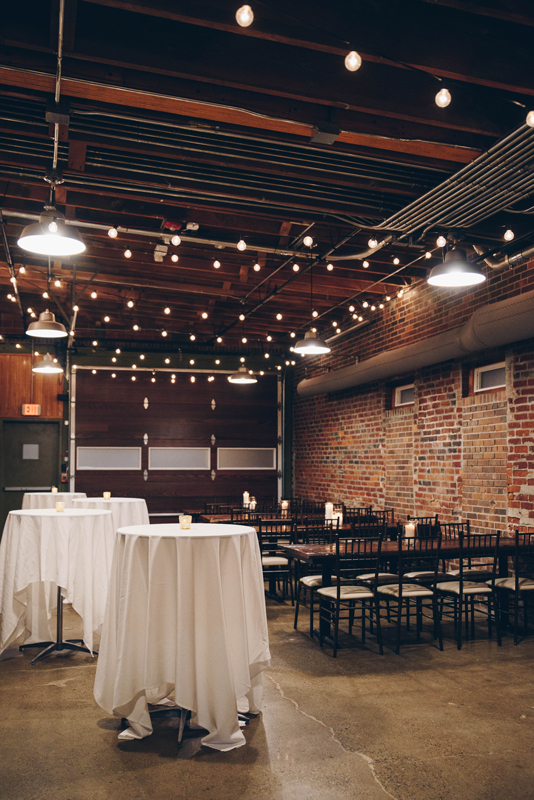 Our rooms have a very industrial chic aesthetic with the exposed brick and twinkle lights on the ceiling. It makes for a very casual yet elegant feel! What is your favorite part of venue? I love seeing the different decorations that every wedding brings in. Our space is like a blank canvas and works with every color/wedding theme. What is the coolest event you have been a part of at the Taproom? We did a surprise wedding on New Year’s Eve! It was emotional and thrilling and I’ll always remember it. We LOVE Molly’s Cupcakes. They are amazing neighbors and their wedding cakes are gorgeous! I’ve also loved working with a variety of Des Moines photographers such as Raelyn Ramey, Jordan Campbell, and Casey Austen. If you want a super fun Photo Booth we always enjoy Photo Booths by SKP.